Posted in Store News, What Happening @ Trail on March 5, 2018 . Trail Appliances is proud to be a winner of the 2018 Vancouver Consumer Choice Award in the Home Appliance Sales & Service Category. This is the 15th year in a row we have received the award, which is decided through a four-step process involving researching thousands of customers and identifying companies with the highest quality and customer satisfaction ratings. We’re the Best of Houzz! Posted in Store News, What Happening @ Trail on January 22, 2016 . 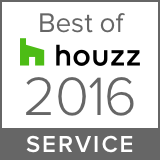 Trail Appliances is proud to have been awarded the Best of Houzz award in the customer service category. This coveted annual award was given to only 3% of the professional community on Houzz this year. In order to receive this award, we had to have the best service, reviews, and engagement with our customers. Customer service is at the core of everything we do, and we’re glad to bring that level of service to our customers on Houzz. Posted in Store News on July 3, 2015 . Posted in Store News on June 22, 2015 . Breakfast Television recently dropped by our Richmond showroom to learn about the latest in appliance trends and technology — we were happy to tell them all about it! To finish the morning off, Chef Brian from “Love Cooking with Chef Brian McKenna” joined Breakfast Television’s Dawn Chubai to prepare a delicious Steveston Spot Prawn Benedict. Thanks to Breakfast Television for dropping by and you can watch the whole segment above! Posted in Recipes, Store News on June 18, 2015 .